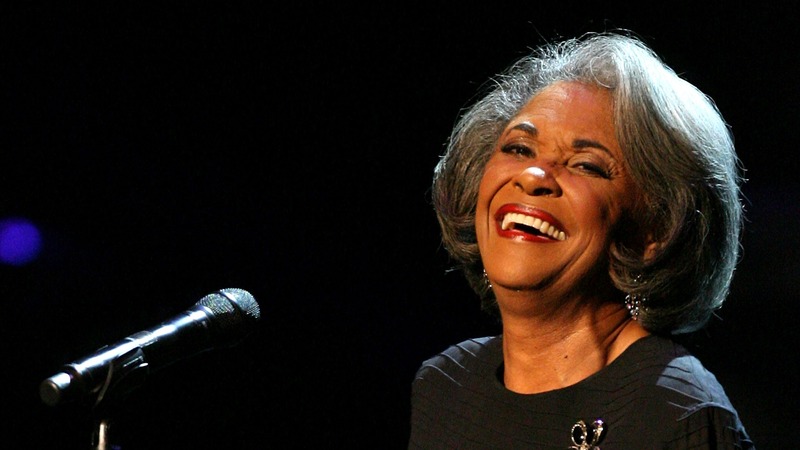 Famed singer Nancy Wilson died this past Thursday at the age of 81. In addition to her accomplished artistic career, Wilson was the host of Jazz Profiles, a long-running NPR series which dove deeply into the history of that singular art form. In remembrance of Nancy, Jazz Profiles lead producer Tim Owens recalls the show's founding, and shares some of its most memorable episodes. In 1995, under the guidance of NPR's Murray Horwitz and Sandra Ratley and with sizable funding from the Lila Wallace Reader's Digest Fund — now simply The Wallace Fund — I was tasked with creating a weekly jazz documentary series. The show would celebrate this indigenous American art form in stories, and with music, from the artists themselves. When we began discussion who might host the series, Horwitz, who came up with the idea for the show, suggested Nancy Wilson. She jumped at the opportunity. Nancy made her debut as an NPR host in August 1995 on the Jazz Profiles pilot broadcast, a special two-hour program celebrating the 75th birthday of legendary saxophonist Charlie Parker. No further auditions were necessary. She was the soul of Jazz Profiles. With an engaging, listenable, silky-smooth delivery, combined with a manner that evoked credibility and authority because she lived jazz and personally knew many of the artists featured, Nancy Wilson guided NPR listeners on a weekly journey through the many stories that, combined, comprise the history of jazz. She was this Peabody Award-winning series' only host over a 7-year broadcast run, which ended in 2002. At her 80th birthday celebration, in February 2017, Nancy told me that Jazz Profiles was one of her proudest achievements — in a long and storied career. It was also the last time I saw her. Collectively, Jazz Profiles remains the most comprehensive history of jazz ever recorded. Nearly 200 one-hour shows focused on a single, living jazz artist were created. The series also chronicled the lives of those no longer living — some of jazz's greatest innovators, like Louis Armstrong, Duke Ellington, Charlie Parker and Charles Mingus. Some shows explored topics such as women in jazz, or hallowed places like the Village Vanguard. I loved working with Nancy. We'd spend hours in the studio together, discussing and recording scripts — and hours outside the studio, too, talking family, books (she was an avid reader), music, the Smothers Brothers (she was the one who came up with and uttered the iconic "ribbit" on that show), gambling (she frequented casinos in Las Vegas and played the slots until dawn) and, of course, her own illustrious career. We shed tears together, usually over the death of musicians, and we joyously celebrated together at the marriage of her daughter Samantha. When I think back, trying to decide which were Nancy's favorite shows from the series, so many come to mind. In fact, I can honestly say that she enjoyed all of them, and would often comment about how much she learned about a certain artist being featured. Here are a few of her favorites, which also serve as particularly sterling examples of the work we did together. "The Village Vanguard: A Hallowed Basement"
A portrait of New York City's legendary nightclub. Produced by Molly Murphy. "Miles Davis: Kind of Blue"
The story of what may be the most important jazz record ever; the first of a two-part show commemorating the 75th birthday of trumpeter Miles Davis. Produced by Jim Luce. "Jazz In Song: The Words"
The first episode of a three-part series examining the importance of lyrics in a song with a focus on some of jazz's top song stylists. Produced by Joan Merrill and Suraya Mohamed. A look at the trumpet-playing brother of Julian "Cannonball" Adderley. The Adderley Brothers were instrumental in giving a very young Nancy Wilson her "big break" into music. Produced by Ben Sidran. An intricate look at one of bebop's key inventors, whom Nancy admitted that she knew very little about until narrating, and embracing, this show. Produced by Molly Murphy. "Cab Calloway: 'A Hi De Ho Centennial' "
A portrait of a jazz legend who mixed show business and acting with a multi-octave singing voice. Written by David Ossman and produced by Dan Gediman. "Nat King Cole: 'The Singer' "
A two-part exploration of one of the music's most popular performers. Produced by Margaret Howze. This show examines the "fiercely" original world of singer Betty Carter, whom Nancy respected highly. Produced by Sonja Williams. For more, you can find our archive of Jazz Profile shows right here.